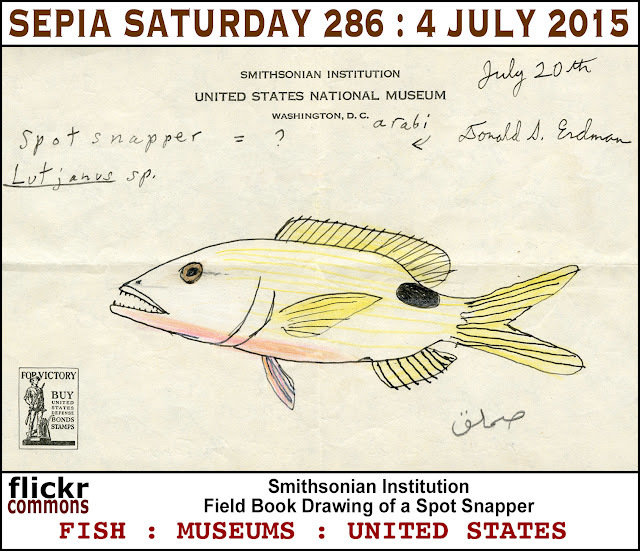 The Smithsonian Museum is the United States National Museum and therefore it is appropriate for Sepia Saturday 286 which falls on the 4th July to feature an illustration from their archives. This call is going up early because I am about to head off to Scarborough - one of the finest holiday and fishing resorts on the Yorkshire coast and therefore it is appropriate for the Smithsonian illustration to be that of a fish. 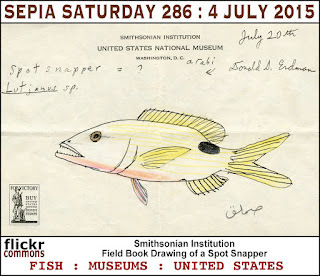 And just in case you are about to tell me that we have had fish as theme images on Sepia Saturday several times before, be warned that I can get quite snappy when provoked and therefore it is appropriate that the fish in question a spot snapper. 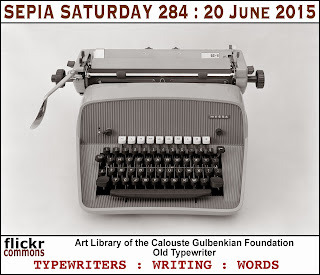 If you want to be thoroughly appropriate for Sepia Saturday 286 all you have to do is to post your posts on or around Saturday 4th July and add a link to the list below. 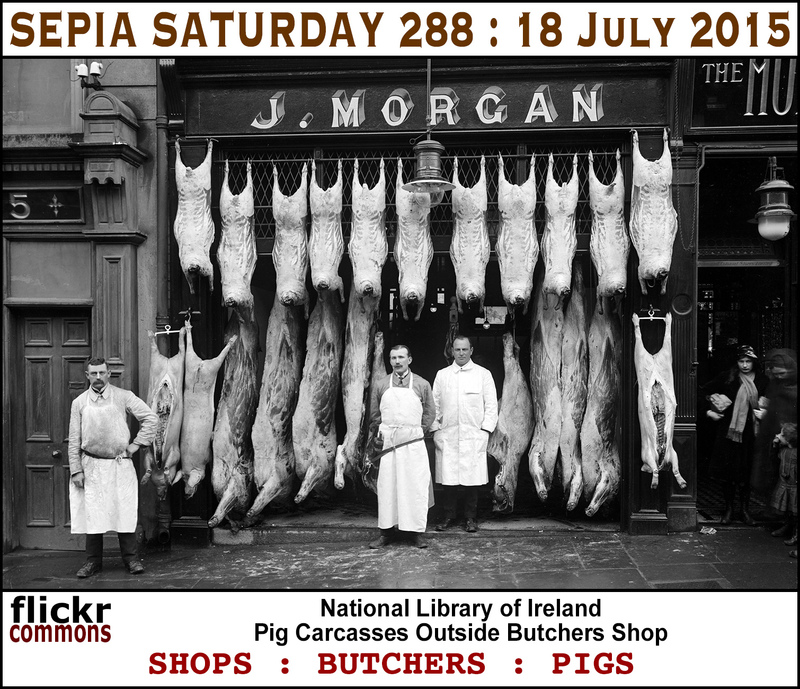 Before you cast around for a suitable image, take a look at what is further down the Sepia Saturday line. Hope you like all these potential themes - if you do, don't forget to tell me. But, on second thoughts, don't bother as I am merely fishing for compliments. 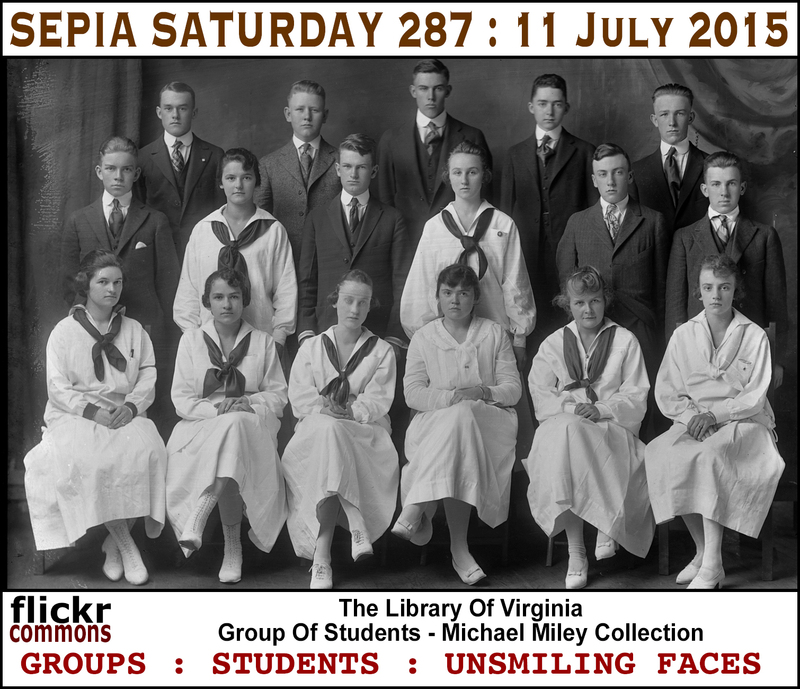 I'm in a bit of a rush this week as I forgot to put the call post up whilst we were away and now it is Thursday and Sepia Saturday is just around the corner. I blame too many nights away from home drinking old beer in even older hotels. The hotel in our theme image is never around the corner (or always around the corner) depending on how you look at things. It is an old postcard of the Chittenden Hotel in Columbus Ohio and put me in mind of postcards, hotels, buildings and - of course - corners. 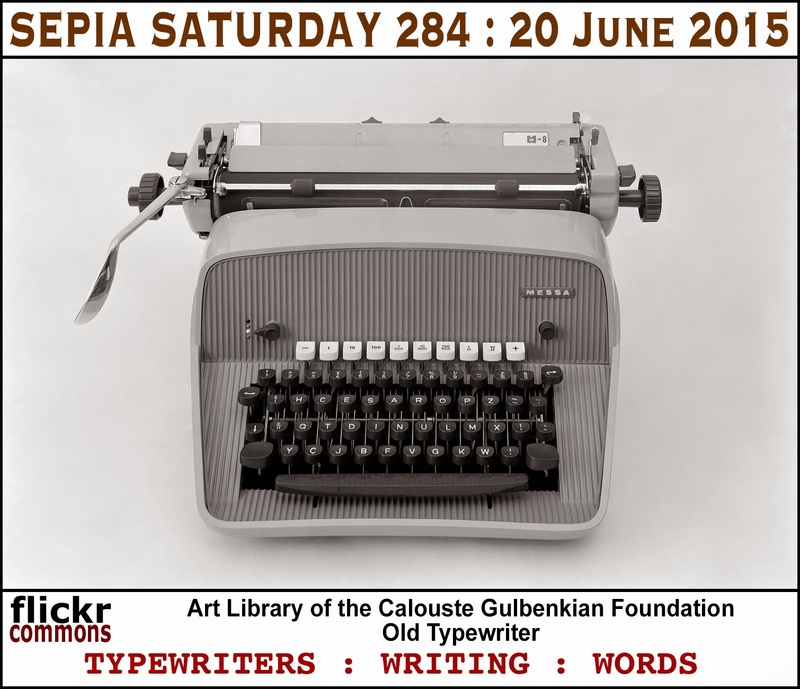 Whatever it puts you in mind of, just post your post on or around Saturday 27th June 2015 and add a link to the list below. 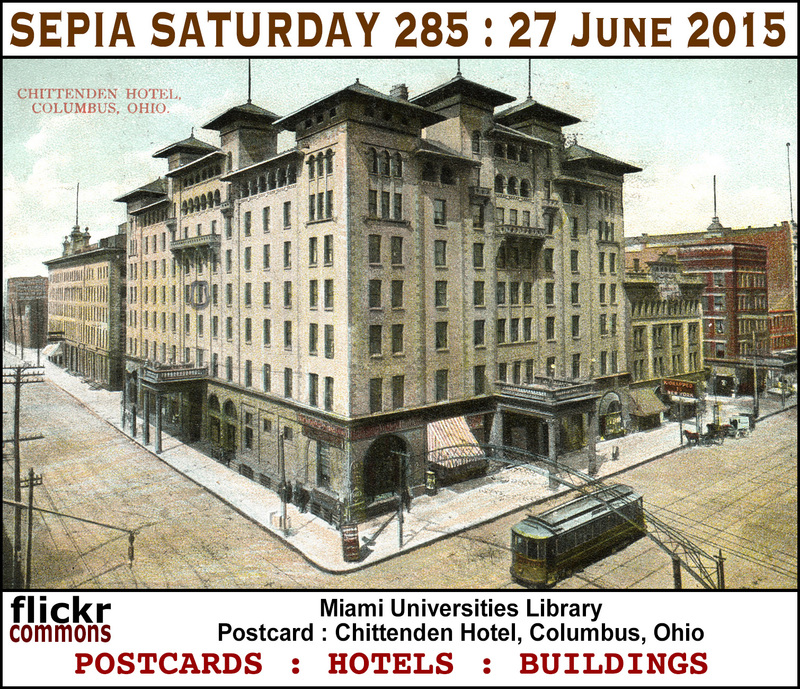 Before you book into the Sepia Saturday Hotel, take a look at what --- is around the corner. 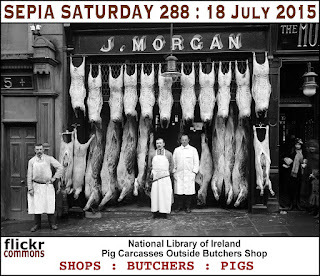 Fish, pigs and students - who else other than Sepia Saturday gives you variety like this? 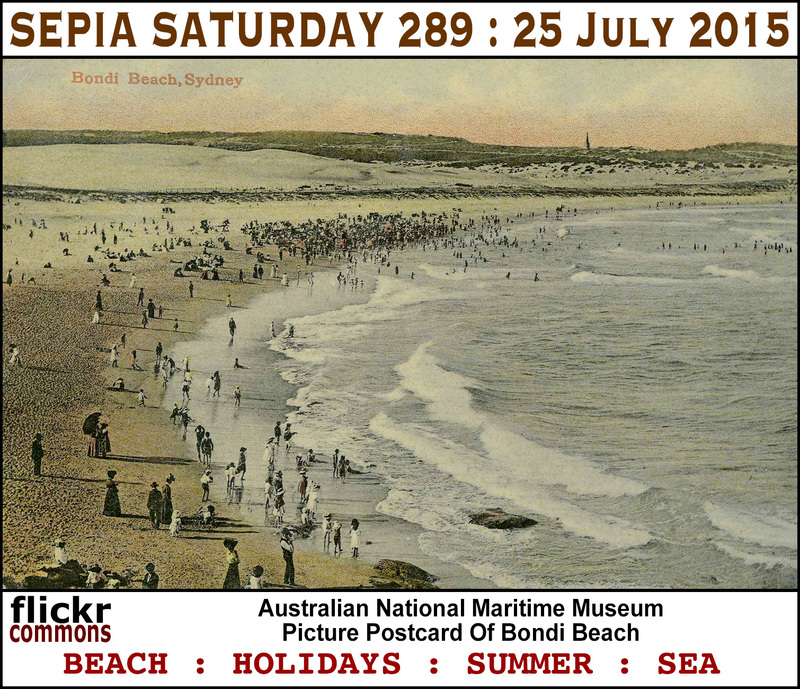 So book into the Sepia Saturday Hotel now. Our Sepia Saturday theme image this week shows a group of construction workers celebrating the completion of a railway tunnel on the Irish rail network. 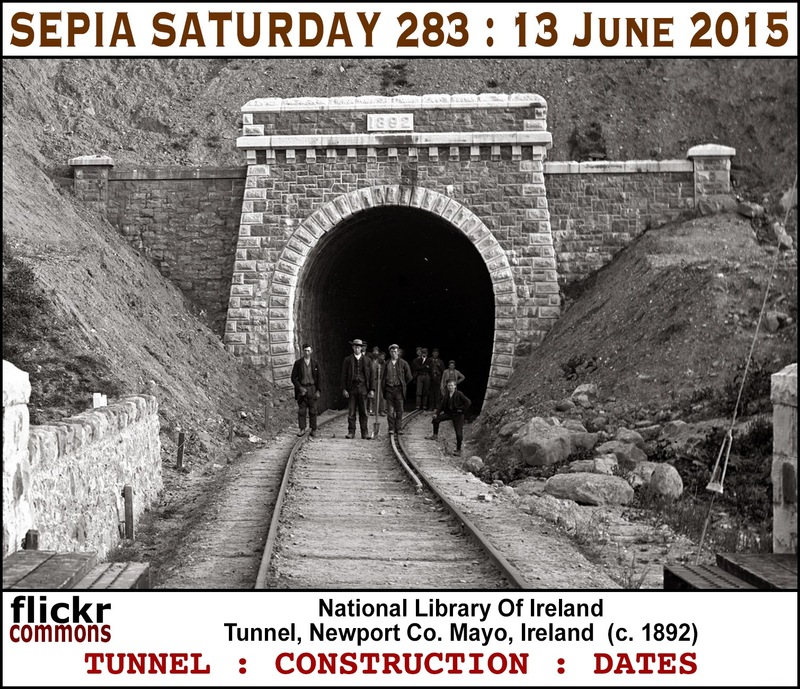 It might prompt you to dig into your own photographic archives and come up with photographs of tunnels, construction projects, or dates carved into the stonework. 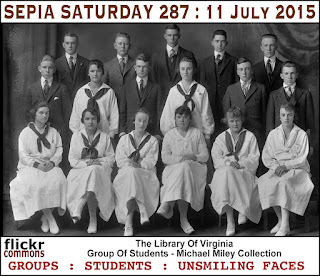 It might also prompt you to share some other image which you feel is connected in one way or another to the theme image. All you have to do is to post your post on or around Saturday 13th June and then link your post to the list below. 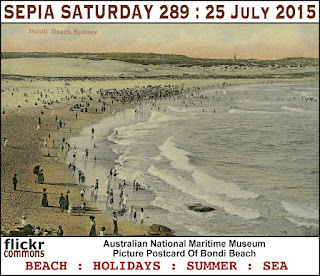 But before you start the sepia project, take a look at what is around the next bend in the lines. 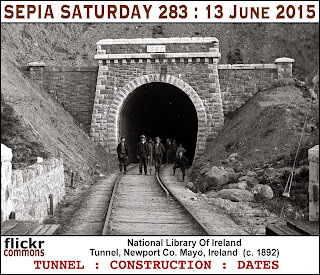 But for now just concentrate on Sepia Saturday 283 and before too long I am sure you will see a sepia light at the end of the tunnel. Welcome to Sepia Saturday 282 - post your posts on or around Saturday 6th June 2015. You might need to give a good deal of thought this week to the theme image before making your move and posting your post (and then, of course, adding a link to the list below). 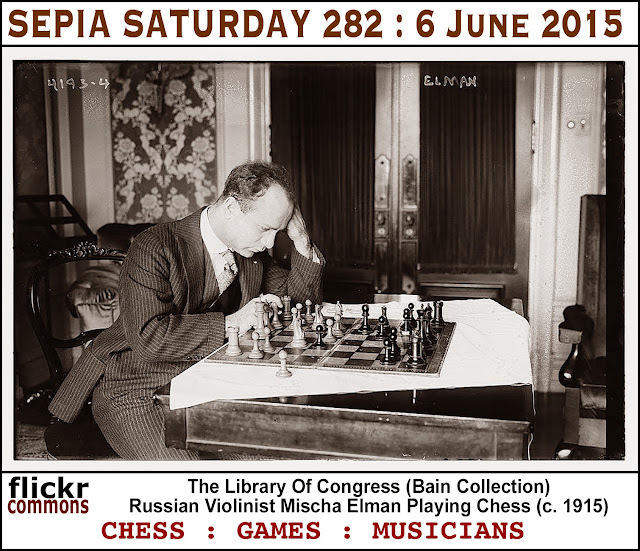 The man in the photograph is a famous musician, so you can put the games away and get the concertina out if you so wish. Whatever you decide to go with it will be a gambit we all look forward to examining. But before you make your first move, here is what lies ahead in the game over the next few weeks. But it is now time to make your opening move on the great sepia chess board. Good luck.